So how does this work?I’m inviting musicians …YOU! (writers&composers) to come and play a pieces of work each (it’s not compulsory, you can just watch/listen) explain something of their composition style..and write something new if you like. In a relaxed and informal setting, you will be encouraged to explain something of your writing style and process and as you perform, others if you’re cool with this, will be encouraged to accompany you..as too will anyone else, who has an instrument...and the confidence to join in! So…’would-be’ musicians and writers…come armed with your own instrument! 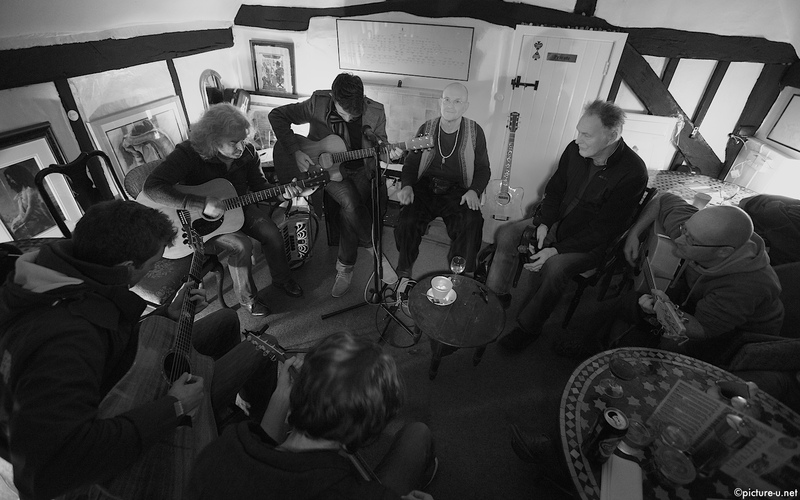 If you… like me, do not play, would rather just be the ‘fly on the wall’ and experience something rather magical and special…then come… 7.30 pm 1st Thursdays . Free entry, however, it would be polite to order something! Sat 19/04/2014 Will Mcnicol returns…how completely cool. Selected in 2014 as Acoustic Guitar Magazine’s 30 under 30 along with established name like Ed Sheeran he supported Eleanor McEvoy. Also appearing will be Hawk , featuring the fabulous voice and musical charms of this Irish female singer who played here last year. Another night of fabulous music, home-cooked food and wonderful company is coming up…make sure that at least once in your life you experience a night at The Drawingroom…home to emerging stars. To come, Mail me.